Mr. Lovins and Mr. Nanavatty work at Rocky Mountain Institute, which is focused on creating a clean, low-carbon energy future. A wind farm in Pomeroy, Iowa. Who said it? A Republican, Senator Lisa Murkowski of Alaska, who leads the Energy and Natural Resources Committee. “My hope is we get beyond the high-fired rhetoric to practical, pragmatic, bipartisan solutions,” she said on the chamber floor. The path is there, if our leaders will only choose to take it. In 2011, Reinventing Fire, an energy study by Rocky Mountain Institute, where we work, showed how a business-led transition could triple energy efficiency, quintuple renewables and sustain an American economy 2.6 times larger in 2050 than it was in 2010 with no oil, coal or nuclear energy, and one-third less natural gas. The net cost was $5 trillion less than business-as-usual — or even more valuable if a price was put on carbon emissions. Any serious energy transformation effort — whether the Green New Deal or “pragmatic, bipartisan solutions” called for by Senator Murkowski — will need to harness America’s immensely powerful and creative economic engine, not dismantle it. This means unleashing the market in sectors where we already know how to profitably reduce emissions (electricity, transportation, buildings), creating markets for solutions in areas where there aren’t yet enough answers (heavy industry, agriculture) and fixing market failures (unpriced carbon, for instance, or rewarding utilities for selling more electricity rather than cutting your bill). First, we should let competition and flexibility rule our electricity system. Abundant market data show that a renewably powered future would cost less than our current system. Electricity providers have gotten the memo, even if Washington hasn’t. To save their customers money, utilities in Indiana, Michigan, Minnesota, Colorado and Utah are phasing out old coal and nuclear plants and replacing them with wind and solar. Clean energy portfolios — including affordable battery storage and other flexible resources — are starting to displace natural gas in California and New York. Concerns about round-the-clock availability of electricity from a highly renewable grid, a common fear, are mostly misplaced. The Department of Energy has assessed that renewables “that are commercially available today,” combined with a more flexible electric grid, can reliably supply up to 80 percent of our electricity in 2050 (and these technologies are advancing every year). Four European countries with modest or no hydropower get from 46 percent to 71 percent of their electricity from renewables, with grids more reliable than those in the United States. In America, Iowa and Texas are leading the way on wind. Over 35 percent of Iowa’s electricity is wind-generated. This has provided a second source of income to farmers whose lands host turbines and given Iowans among the lowest power prices in the nation. Over all, the estimated $476 billion needed to build a flexible grid that integrates renewables would yield $2 trillion in saved energy and reliability benefits. Second, correcting our biggest market failure by putting a price on carbon by taxing it and then rebating the revenues equally to all citizens would be “the most cost-effective lever to reduce carbon emissions at the necessary scale and speed,” according to a recent statement signed by more than 3,500 economists, including 27 Nobel laureates. Combining carbon pricing with border tax adjustments and rebates for citizens would ensure we didn’t export our emissions or hurt working-class Americans. Clearer price signals could drive cheaper and cleaner practices if we eliminated market barriers that are obstacles to efficiency and clean energy. We need to take advantage of the world’s most successful research and development organization — the federal government — to solve our remaining technology challenges. Government R&D helped develop the internet, the Global Positioning System, fracking, many vital drugs and, more recently, breakthrough battery technologies. The government now needs to apply its early-stage investment muscle, in concert with private enterprise, to cutting greenhouse gas emissions in these harder-to-abate sectors. Failures should outnumber successes, as in any sound early-stage investment portfolio. But just a handful of big wins can deliver potentially incalculable value to our economy and planet. Which brings us to our final point. We should base investment decisions on net value, not cost alone. Green New Deal critics often look at only one side of the accounting ledger. A columnist for The Wall Street Journal, for example, recently pointed to the $400 billion estimated cost of retrofitting American buildings without mentioning the $1.4 trillion net value (retrofit costs minus saved energy costs) of doing so. Mr. McElwee is one of the founders of Data for Progress. “Mitch McConnell, the Senate majority leader, brought the Green New Deal to a vote in the Senate on Tuesday. He defeated consideration of the plan 57-0, winning over three Democratic senators and one independent who caucuses with the Democrats. The rest of the Democratic caucus voted “present,” in an attempt to confound Mr. McConnell’s strategy, which was to tie down the Democratic Party to an ambitious proposal from its progressive wing. In his mind, this would clearly hurt the Democrats. But is the Green New Deal really that toxic? My research suggests it’s not. Steven Rattner writes, “Why are so many economists, even conservative ones, in favor of a massive new tax? Because markets do not always price in “externalities” like pollution. In addition to cutting consumption, raising the price of carbon would arguably do more to encourage development of alternative power sources than all the massive new government spending programs that advocates of the Green New Deal envision.” Thank you Steve Rattner, for your clarity and wisdom. I hope Alexandria Ocasio-Cortez and every democrat running for president studies this. The intelligence of this approach, is that the GOP should and will support it with the right leadership, since it is the proper conservative approach. Rattner doesn’t mention that more will be needed, he is selling something that could get both parties in congress together in the near future. We need to get this all in place, and then review if 5% increases every year will get us to where we want to go. This is a first important step to take to shift the American economy into a sustainable future, and it already has bipartisan support. Rattner also writes, “Fortunately, there is a better way to address the climate problem at far lower cost to the economy: a tax on greenhouse gas emissions. That can be imposed in any number of ways. The 18.4 cent federal gasoline tax, for example, hasn’t been increased since 1993 even as most other developed countries impose far higher levies. A particularly thoughtful proposal has come from the Climate Leadership Council, a bipartisan organization that counts more than 3,300 economists among its signatories. Elegant in its simplicity, the key provision would be the imposition of an escalating tax on carbon. At an initial rate of $43 per ton, the levy would be roughly equivalent to 38.2 cents per gallon of gasoline. Mr. Reicher was a member of the first reported expedition to navigate the 1,800-mile-plus Rio Grande. Image Big Bend National Park, on the border of Texas and Mexico. There has long been interest in creating an international park in the area. Nearly 75 years ago, an American president was eyeing a grand project along our southern border, not to divide the United States and Mexico but to bring the two nations together. On June 12, 1944, a week after D-Day, President Franklin Roosevelt signed legislation establishing Big Bend National Park, almost a million acres along the Rio Grande in West Texas. 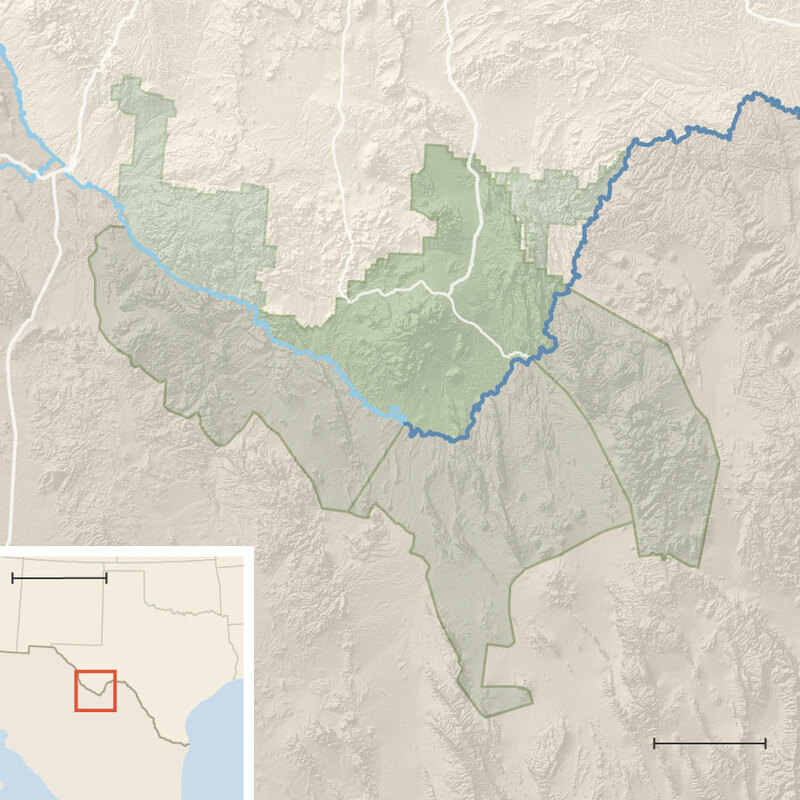 He followed up with a grand challenge to President Manuel Ávila Camacho of Mexico: “I do not believe that this undertaking in the Big Bend will be complete until the entire park area in this region on both sides of the Rio Grande forms one great international park.” Mr. Camacho agreed. Still, the building of a great international park along our southern border, rather than a grim medieval wall, remains an elusive goal. But if there ever was a moment for it, this is it, and particularly in a place where time and the flowing river have already carved truly great walls along thousand-foot-deep canyons. “Tesla’s sleek stores embodied its green vision for upending the transportation and energy business: a one-stop shop for electric cars, solar panels and battery storage. Less than three months ago, the company announced 11 new store locations across the country. Now Tesla is in retreat, shuttering most of its stores in a bid to cut costs. The move signaled the broader vulnerabilities of an upstart that for a time was the most highly valued American car company. A spate of price cuts in the United States points to a slowdown in sales, and the company says it is currently making cars for Europe and China only. But plans to bring the company’s mass-market car, the Model 3, to overseas buyers have been hamstrung by logistical challenges. Good article, which raises many questions. Should Tesla partner or merge with a big auto company? Ford could certainly benefit from having a good line of electric cars, and has dealerships across the country with nothing but SUV’s and trucks for sale. I hope Tesla makes it, but I would never buy a car I couldn’t test drive and have serviced. As a happy new Nissan Leaf owner, I am learning that electric cars don’t need much service. Tesla has to be more careful, because it is getting a reputation now here for cavalier and careless management. Do they have the resources to go it alone, while shooting cash up into outer space, or is space X about to become profitalbe? “Everyone is lining up to endorse the Green New Deal — or to mock it. Kamala Harris, Cory Booker, Bernie Sanders, Elizabeth Warren and Kirsten Gillibrand have all endorsed the resolution sponsored by Representative Alexandria Ocasio-Cortez of New York and Senator Edward Markey of Massachusetts. Conservative critics predictably call it “a shocking document” and “a call for enviro-socialism in America,” but liberal condescension has cut deeper. The House speaker, Nancy Pelosi, essentially dismissed it as branding, saying, “The green dream, or whatever they call it, nobody knows what it is, but they’re for it, right?” Others have criticized it for leaving out any mention of a carbon tax, a cornerstone of mainstream climate-policy proposals, while embracing a left-populist agenda that includes universal health care, stronger labor rights and a jobs guarantee. What do these goals have to do with stabilizing atmospheric carbon levels before climate change makes large parts of the world uninhabitable? What has taken liberal critics aback is that the Green New Deal strays so far from the traditional environmental emphasis on controlling pollution, which the carbon tax aims to do, and tries to solve the problems of economic inequality, poverty and even corporate concentration (there’s an antimonopoly clause). But this everything-and-the-carbon-sink strategy is actually a feature of the approach, not a bug, and not only for reasons of ideological branding. In the 21st century, environmental policy is economic policy. Keeping the two separate isn’t a feat of intellectual discipline. It’s an anachronism. Mr. Gillis and Mr. Harvey are writing a book on how to speed up the clean-energy transition. “Amid the disarray in Washington, here is a ray of hope: It seems possible that Congress could pass energy legislation this year with the support of both parties. It would not be the sweeping measure to tackle climate change that is really needed, but there is at least a chance of getting a bill that does more good than harm for the climate and the country. The point person on this effort will be Lisa Murkowski, the maverick Republican from Alaska who heads the Senate Energy and Natural Resources Committee. She has a history of working with Democrats on energy legislation, and got 85 Senate votes for passage of a major energy bill in 2016, only to see it bog down in negotiations with a House then also led by Republicans.